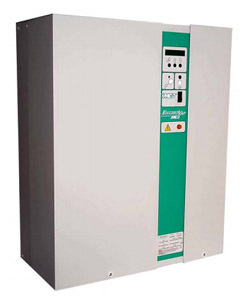 The ElectroVap MC2 is an advanced electrode boiler humidifier with a range of 10 units capable of 5 to 100 kg/h steam output. Easy installation and maintenance at moderate cost. The steam cylinders have to be cleaned or changed regularly depending on the water quality and the steam demand. The ElectroVap CMC humidifier produces a sterile and mineral free steam. 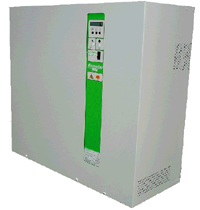 It gives an accurate and reliable control over humidity by accepting 0-10 V, O-20 V, 4-20 mA or on/off controls. 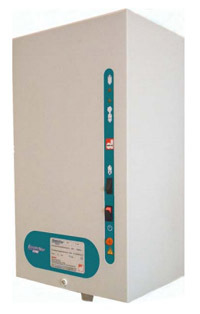 ElectroVap RTH is the revolutionary resistance type humidifier. It is the only model on the market with a rocking tank that makes maintenance very easy, fast and less costly. For more than 30 years, Devatec has innovated in research and manufacturing humidification solutions. Always in advance of technology, Devatec engineers were the first to launched to market a complete solution such as ElectroVap with its disposable or cleanable cylinder and its LCD display.